Brazilian inflation accelerated more than economists expected in March from a year earlier, led by food and transportation costs, taking the annual rate near the upper limit of the government’s target range. 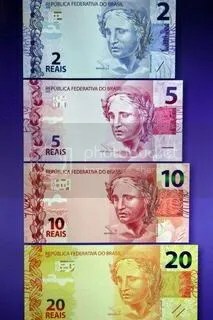 On Thursday the Brazilian currency Real also further strengthened to a record 1.58 to the US dollar in spite of the latest measures (MercoPress). Brazil doubled a tax on consumer credit as President Dilma Rousseff’s government shifts its focus to fighting inflation from curbing gains by the currency. Consumer loans, excluding mortgages, will be subject to a 3 percent annual tax, up from a previous rate of 1.5 percent, according to a Finance Ministry statement (Bloomberg). Brazil’s credit rating was raised one level by Fitch Ratings, which cited the economy’s growth prospects and budget policy under President Dilma Rousseff (MercoPress). Brazil’s industrial production rose at the fastest pace in 11 months in February. Output rose 1.9% from January and 6.9% from the same month a year earlier, the national statistics agency said (MercoPress). The Brazilian Development Bank (BNDES) and the Japan Bank for International Cooperation (JBIC) entered into a financing agreement in the amount of $ 300 million within the scope of the Green Line. The fund will be invested to support environmentally sustainable projects in Brazil (BNDES). Oil Agency, or ANP, to draft regulations that will treat ethanol as a “strategic fuel” and no longer as an agricultural commodity (Reuters). Specialists could start recovering bodies of those killed in Air France’s 2009 plane crash off Brazil within weeks, French officials say (BBC). 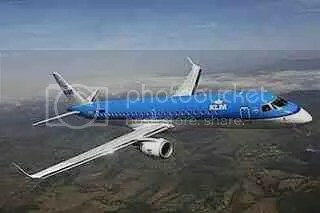 Embraer and KLM Cityhopper, KLM’s regional subsidiary, has signed a contract for a further five EMBRAER 190 jets, firming up options originally placed in August 2007. The total value of the deal, at list price, is US$ 214 million, based on January 2011 economic conditions. The initial deliveries of this new order are scheduled to take place during the first semester of 2012. The Dutch airline still retains options on two more EMBRAER 190 jets (Embraer). Brazil’s biggest bank – the state-run Banco do Brasil – is being sued for allegedly funding deforestation in the Amazon (BBC). Banco do Brasil launched an obligatory offer to buy most of the shares it does not already own in Argentina’s Banco Patagonia, just days after Argentine regulators approved its purchase of a 51 percent stake in the bank (Reuters). Vale, the world’s biggest producer of iron ore, has chosen a new chief executive. Former Vale executive Murilo Ferreira will return to the company on 22 May (BBC). For a long time, the number one company in Brazilian industry, Vale (formerly Companhia Vale do Rio Doce) did not concern itself overly with social and environmental responsibility issues. Privatized in 1997, Vale went through a green revolution around ten years later, while expanding internationally, culminating in the acquisition of Canadian company Inco and becoming the world’s second largest mining group. Vale now produces iron ore, nickel and copper, but it has also decided to protect tens of thousands of hectares of tropical forest in Brazil and Indonesia, it produces biofuels in the Amazon and it is helping to preserve the Kanak languages in the south of New Caledonia (Vale). Brazilian copper output is set to more than double in three years, metal the market will welcome at a time of fast-growing domestic demand and tighter global supplies that have driven up prices. A host of new mines should boost annual output to around 500,000 tonnes by 2014 up from 230,000 tonnes last year, or about 1.5 percent of world supply (Reuters).